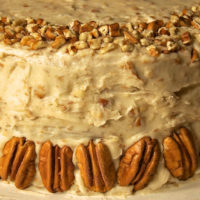 Yes, more pecans. But, it is pecan season after all. I made these as a little anniversary treat for Quinn. (We celebrated 6 lovely years of marriage on Saturday.) Of all the things that I have baked over the years, these are his favorite. This works out well for me because they’re really simple to make. The recipe comes from a book I’ve had for ages, Best of the Best from Mississippi. Before I go any further, let me just say that I am none too proud to use ready-made pie crusts. This recipe is a dream with them. 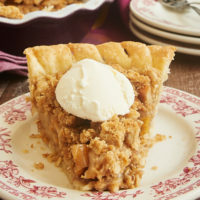 For a big pie, I would most likely make my own, but for these little bite-sized ones, you can bet I’m getting store-bought. However, feel free to make your own. 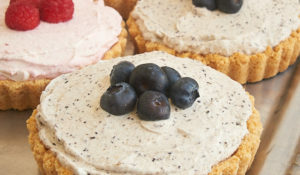 In the South, these little pies are known as tassies. Now what that means or where it comes from, I haven’t a clue. Quinn, not being from the South, was amused the first time I called them that. I think marrying a Southern girl has been quite an experience for him. But I digress. 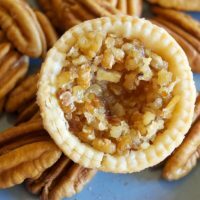 During the holidays, I usually make a couple of regular size pecan pies (more about that closer to Thanksgiving), but I use a different recipe for the filling. Somehow the exact ingredients for these doesn’t translate as well into a larger pie. That works the other way around, too. Could be the filling to crust ratio. These little pies are, I must say, amazingly good. 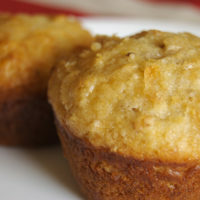 They are so light and have just the right amount of sweetness. Plus, they just look so cute on a tray or bundled up for a gift. 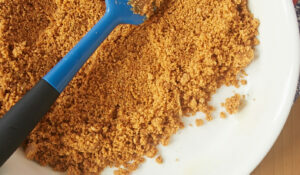 For some pie crust guidance, read and see BoB’s Pie Crust Tutorial. Preheat oven to 350°. Grease/line mini muffin pans. 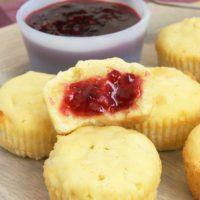 Roll out pie crust and cut to fit in mini muffin pans. Press into prepared pans. Mix together eggs, sugar, corn syrup, butter, and flour. Add pecans, vanilla, and salt. Pour into unbaked pie shells. Bake for about 15 minutes or until done. Let cool completely in pans. Cook time is per pan. Recipe adapted from Best of the Best from Mississippi. You can never have enough tassie recipes. Oh yeah: Tassies: from the French word ‘tassette’-a small pocket, pouch, or small cup. They normally have cream cheese in the dough, which sets them apart from tarts. I almost made some of these for a party last night but decided not to. 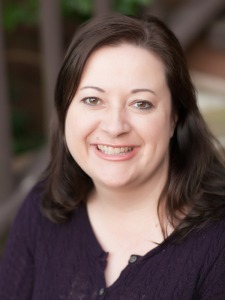 These are lots of fun…maybe I’ll do it for the next party i have! Gotta love those MS recipes! 🙂 BTW, congrats on the anniversary. Thanks for the info, Rachel. I figured someone would read this and know the answer! You’re Southern. Like me. I knew there was a reason I loved your blog so much! Ha. I’m going to make these for Thanksgiving. Easy to transport down I-40! My husband’s family (also Southern, but Eastern N.C., not Western like me) calls sugar cookies Tea Cakes. I love that. Abby, that’s what my grandmother called them, too. Mmmm… I may need to make those before too long. mmm.. Tassies of all sorts are delicious and these looks very tasty as well. Do you know if you can freeze these after they’re made? Thanks. Joann, you should be able to freeze these for a couple of months. Happy Thanksgiving to you both! Julia, I do bake with other things occasionally, but during the holidays I just can’t help it! I feel I must warn you that there will be more pecans appearing here soon. Happy 6 year anniversary to you and Quinn 🙂 And those little pecan tarts look dangerously delish! Your tassie photos are mouthwatering. I’ve never made them before, but because I live in the south, I grab them at gas stations and restaurants whenever I see them. Heavenly! I tried to make mini coconut cream pies today with Pillsbury ready made unroll pie crust and the crust baked up too much that there was no room for filling. So then I tried a homemade pie crust and it did the same. What am I doing wrong? Connie, did you roll out your pre-made crust? I usually make mine pretty thin for the mini pies. Also, are you baking the crusts before you fill them? can you tell me whether you bake the phyllo dough or not? Jessica, I use regular pie crust, not phyllo dough. I’ve always been a bit intimidated by phyllo, although I’m sure you could make it work for these little pies. TOO cute! I have to make these. 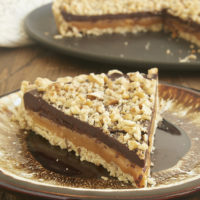 My boyfriend loves Pecan pie, and I will have to make these for him. What size round do you cute the mini crusts? Sonia, it depends on your muffin pan size. The dough just needs to fit the bottom and up the sides. Hi, Shari. 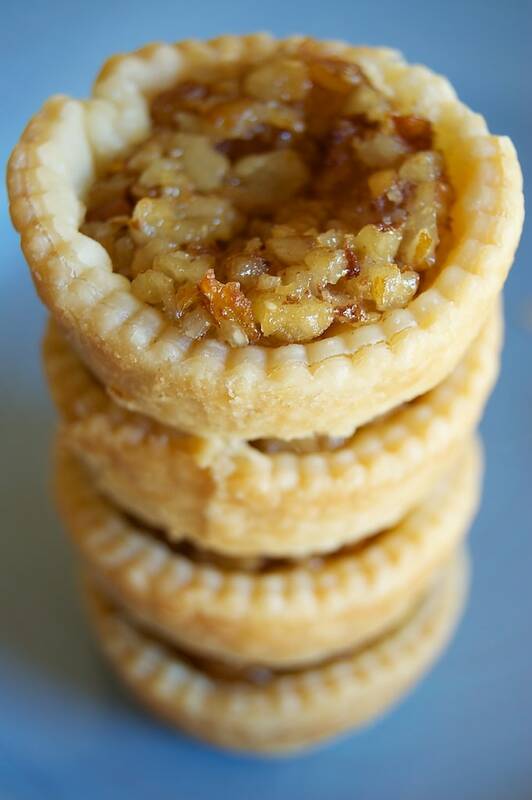 You can use most any kind of pie filling in these tarts. The mini size will work with apple if the apple pieces are really small. Otherwise, I’d use a regular size. Is the above recipe for 2 pecan pies or for the tassies? 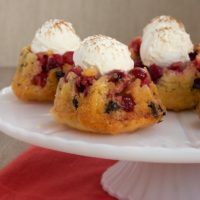 These sound delish,& want to try them!! Thx for sharing! It’s for Mini Pecan Pies. 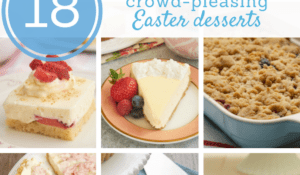 You’ll need to use pastry for two 9-inch pie crusts to cut out 48 crusts to line mini muffin pans. Hi, Lorraine! I’ve never frozen these, but I think they’d freeze just fine. Can you make them a few days before you need them? How do you store them? I want to make them for Christmas Day. Hi, Rita. I have made them 3 or 4 days in advance, and they’re fine if kept in an airtight container. 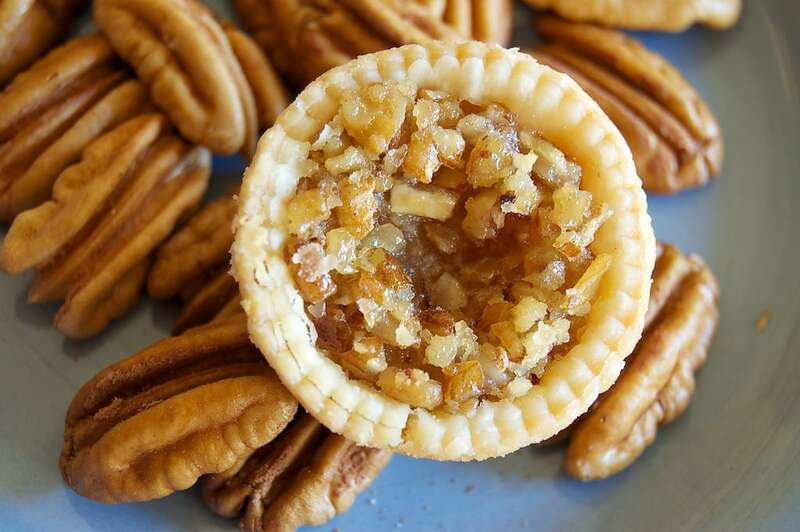 To make the mini pecan pies, can anyone tell me how big a circle I need to cut the dough to fit in the mini muffin pans? I don’t want to have to guess and it be too big or too small. Thanks. Hi, Judy. I usually use a 2 & 1/2-inch round cutter.